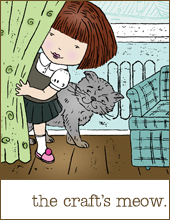 Welcome to Day 1 of The Craft's Meow July Release Sneaky Peeks! Today we're giving you a good sneaky peek of not one, but two sets! Next up, we're featuring a beautiful set designed by Karen Baker called 'Hope Blooms'. The set is exactly what its namesake suggests: beautiful blooms and sentiments of hope. So how about you getting a chance to win one of these sets featured today? Simply leave a comment on the TCM Blog by 9pm PST today and two randomly selected peeps will win one of these sets - simples! Be sure to check out what the rest of the amazing TCM DT whipped up with these sets and don't be afraid to say 'Hi' to our Guest Designer - Naomi Gong! Before I dash - I just wanted to fill you in on why I've been slightly MIA recently. I have craft activities to plan and organise for the last two days of term. I have general school work to complete before Friday.....! I'm organising a summer school that starts next week! So at some point I'll be back properly! Thanks for you emails asking where I've been - I hope this explains my absence! Great cards. I love the sympathy card. It is simple but effective. okay, way to rock that signature Aimes CAS style! Wow! Stunning tag and card! I love it! Love the second one... stunning. Great tag, Amy and that card is CAS at its best! Love it! Love the simplicity. Clean and simple. TFS. Ah...no internet...that's a serious crisis! Love the gorgeous cream and black...two beautiful cards AimeS! 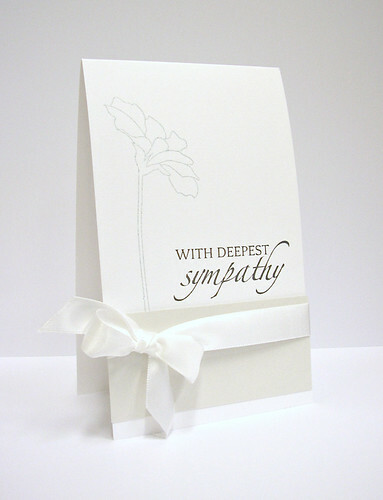 your sympathy card is so striking, clean and elegant. Those are so hard to make. Just such elegant projects. 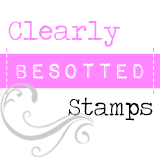 Love all the white, and I'm so glad to see that flower from Karen in real stamp and not digi form! elegant and gorgeous as ever, Duchess...just like you! Love the addition of a bit of bling for the boys...they need it too but in more subtle ways. And what a pretty sympathy card...soothing and serene and sure to comfort :) The end is in sight!! I know the craziness you feel...it's just got to be done! No carry over into next week! Hang in and thanks for the update! 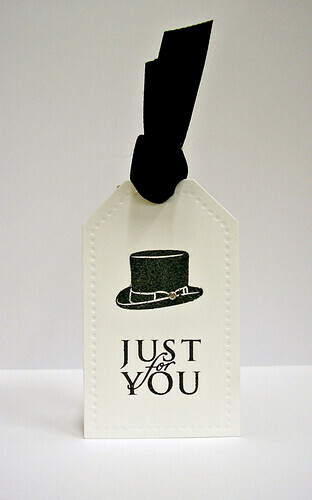 Cute tag...and love the elegance and simplicity of the card! Your tag and card both have such complete elegance. The subtle cream stripe under the ribbon and that black-line flower really capture the simplicity of a great sympathy card. Two of the hardest cards to make are masculine and sympathy ... you did an OUTSTANDING job with both of these. Black and white are so perfect and I just ADORE that top hat! Tanks for sharing! beautiful simple card and tag. Hate it when the internet plays hookey. Nice elegant CAS creations. Beautiful tag and cards...love those stamps! Elegant tag and card! Love the white on white! Beautiful stamp design too! yeah to the Top Hat design and so cool you were daring enough to add sparkle-brave lady!! 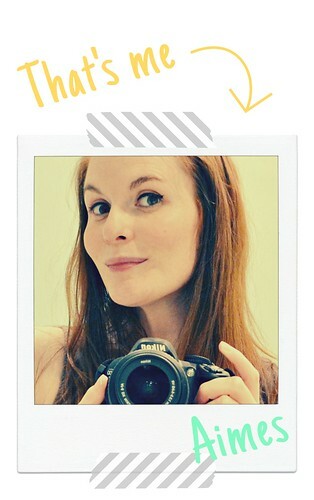 Two stunning cards, Aimes, but I would expect to see nothing but that here on your blog!